I’ve done a lot of weird stuff in the name of beauty during my time at Refinery29. I’ve given up shaving, gotten my wax strips read by a psychic, and even forced myself to get hungover to test-drive products. But the trippiest thing I’ve ever done took place this past Tuesday, when I stripped down naked and floated in a pitch-black pod filled with 1,000 pounds of Epsom salt for an hour. All in a day’s work, you know? 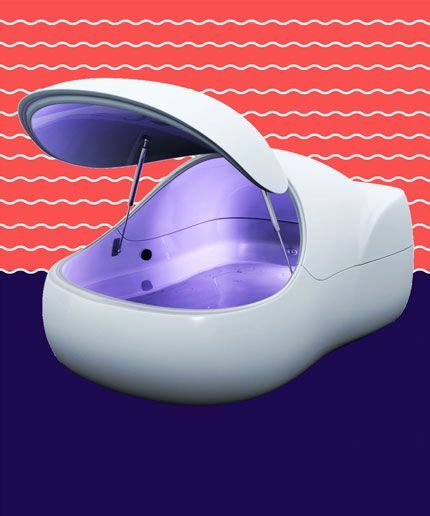 In case you haven’t heard of it, sensory deprivation is taking the beauty-and-wellness industry (and, likely, your Instagram feed) by storm. It’s a treatment in which you float in Epsom-salt-saturated water, for about an hour. 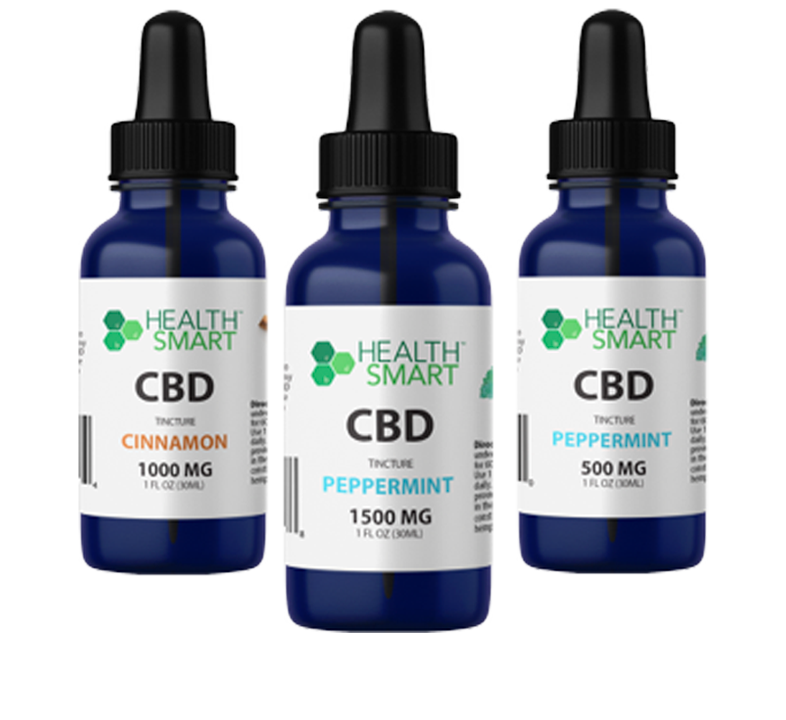 There are a myriad of physical benefits, ranging from decreased blood pressure, relief from joint and muscle pain, and increased energy. Spiritually, it’s a chance to clear your brain and heighten awareness. All of that sounded well and good to me, but I was in it for something else: the silky-smooth skin that comes from soaking in Epsom water. 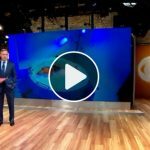 “People with histories of psoriasis and eczema see some improvement in their conditions after a float,” says David Leventhal, owner of Lift/Next Level Floats in Brooklyn. It makes sense — as Epsom salt is rich in magnesium. It’s also anti-inflammatory and antimicrobial, making it a heady healer of skin conditions. But for those of us lucky enough not to suffer from eczema or psoriasis, Epsom salt provides top-notch exfoliation. So I expected to emerge from this bath as soft as the day I was born. Before my appointment at Lift, Leventhal and his business partner, Gina Antioco, walked me through the basics. 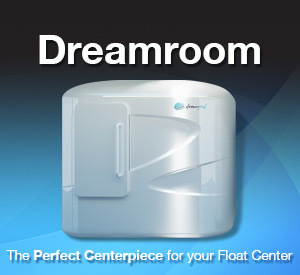 There’s an option of two different float experiences — an egg-shaped tank or a larger room with high ceilings. “You can have the full experience in either,” Antioco clarified in our initial emails. The larger room is mainly for people who get a little jumpy in small spaces, or are simply too tall to fit in the pods. In both, you can float in silence or with some meditative music playing; in complete darkness or with a small night light. I chose the pod, mainly because I thought it looked like something out of Star Trek, and also opted for no light or sound because — at this point — nothing really scares me. When I got to Lift the evening of my appointment, I removed my shoes, waited as Leventhal read through the procedure, and laughed when he asked if I needed to use the restroom. (Subscript: no peeing in the pods.) The most shocking thing was the pile of 50-pound Epsom salt bags lined up against the wall — 20 in total. “That’s the amount that goes into each float,” he explained. The salt makes you so buoyant, there’s basically no way you can drown in the tank, even if you do fall asleep (which Leventhal says some people do). He showed me to my room and pointed out the buttons that control the lighting and the music inside the pod. After he bade me farewell, I quickly showered, stripped, and settled myself down into the water. A Disney-princess-sounding voice welcomed me to my float, the lights in the room dimmed, and I was soon in complete silence and darkness. First, I tried to relax my neck, which was an impossible feat. (Sitting in front of a computer all day doesn’t help.) So I reached for the provided inflatable neck pillow, which worked like a charm. Soon, I noticed the water adjusting to my body temperature — to the point where I almost didn’t feel it anymore. After a few minutes, my legs and arms relaxed, but my brain was still going. How would I describe this experience? Are my toes still there? Do I have any eggs in my fridge? I tried my best to take a few calming breaths, but then I felt a burning sensation on my leg. Leventhal provides Vaseline for you to cover up any cuts (you are laying in salt, after all), but I must have missed a nick on my thigh. I breathed through it, and the pain eventually dulled — and my deep breaths also helped clear my mind. Thoughts would bubble up in my brain and I’d acknowledge them, but then I’d let them slowly drift away. I do remember thinking that I had no concept of time in there — no idea if I’d been floating for seconds, minutes, or hours. I didn’t know if my eyes were open or closed, and I started hallucinating stars. I’ve never dropped acid, but I assume it’s not far off from this. So when the lights came on and my Disney princess of floatation welcomed me back to Earth, I felt as if I’d just returned from a long journey. I slowly peeled myself out of the pod, feeling stoned out of my mind, and showered as Leventhal advised. When I finally got my footing and emerged from my room, he guided me to the waiting area that housed a big, comfy couch and a hot cup of tea for me to sip on while we chatted. 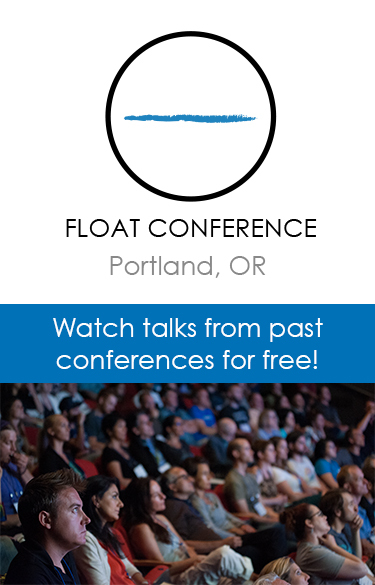 “Clients get relief from chronic pain with regular floats,” he explained. 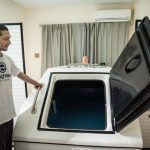 “One woman comes in a couple of times a week and floats for two hours.” When I raised my brow at that amount of time, Leventhal chuckled and explained he’d recently completed an eight-hour float. Longer floats like that are meant to mimic sleep, but he said he didn’t feel as rested as he would have with a regular night’s rest. After about 30 minutes, I was able to peel myself off the couch. My skin felt incredibly soft and smooth that night, and my brain felt as clear as a bell. Once home, I loaded my hair with conditioner — just in case — and drifted into the soundest sleep of my life. And when I woke up, my skin (and hair) felt as silky as a newborn baby’s. It was incredible, and I resolved then and there to try floating again very soon. Hey, it beats the hell out of a bikini-wax-strip horoscope.